Stepless clamps are the best choice for your home draft set up. 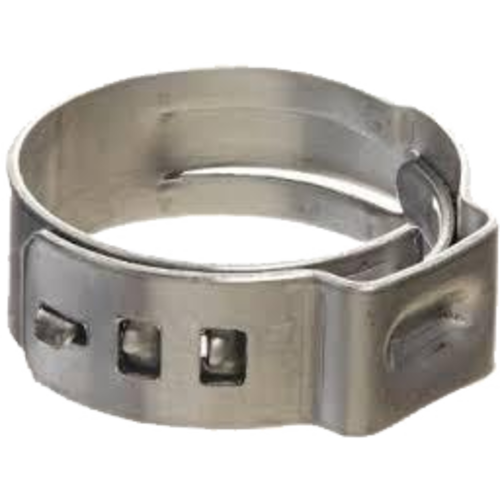 Standard worm drive hose clamps are nice for reusability, but they aren't ideal for beer and gas lines because they tend to pinch on one side, leading to leaks or degraded pressure holding capacity of your draft system. Stepless clamps apply even compression around the whole diameter of the tubing line, tightening in a perfect circle. They can be tightened with the middle cutter on a pair of pliers, or better yet, with the Stepless Clamp Tool (H1006).